Security Plus + Limited are the only company in the UK who can provide a total security solution for your cash services and manned guarding requirements through one company and one single point of contact. Our Senior Managers are all experienced multi functional operators and able to provide the highest levels of customer service and operations in both cash services and manned service disciplines. Security Plus + Limited are the leading provider of licensed, highly and extensively trained, screened and selected security officers to local industry and commerce. In an ever increasing market, we offer a thorough, reliable and professional service through a choice of short or long term contracts. Our facilities and operations are regularly inspected by the National Security Inspectorate. Our officers are vetted and trained to Security Industry Authority standards and are familiar with the cross section of customers requiring quality security officers and also the duties to be performed for their assignments. 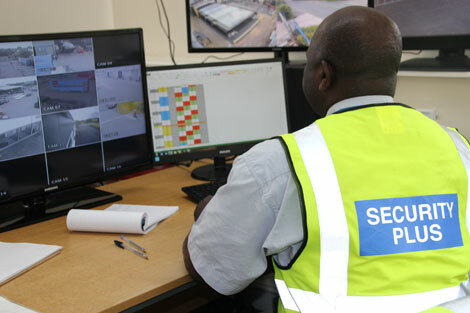 Our security officers are supported by a 24 hour manned central communications and control centre and a team of supervisors and Managers who are field based and who report into our Director of Guarding. Our experience in the manned guarding industry has seen us undertake instructions from a wealth of customers including Universities, Colleges, logistics and transport hubs, sports clubs, industrial gatehouse sites, Courts, NHS trust hospitals/medical centres and prestigious shopping centres.